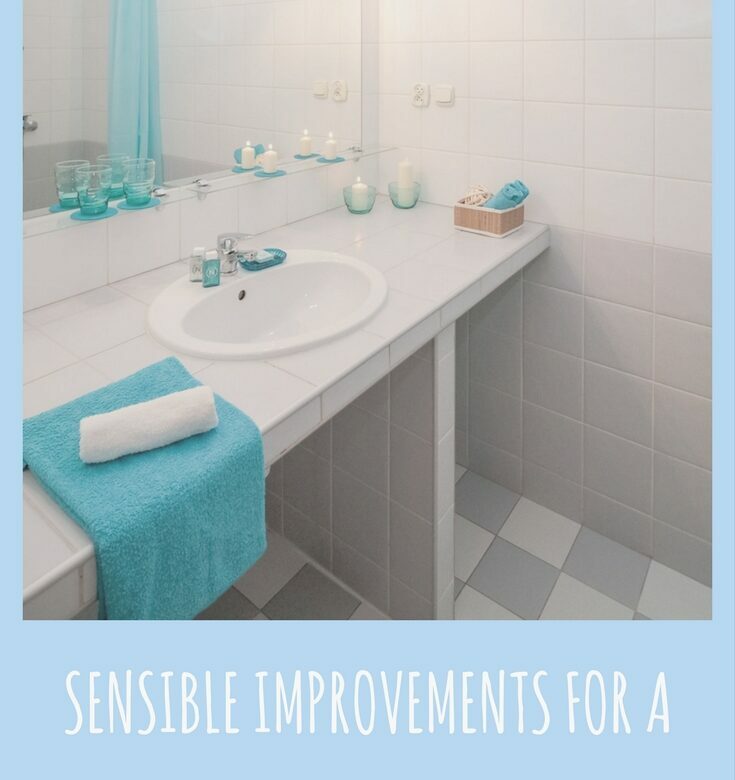 If your bathroom is looking a little sorry for itself and needs some special attention, then what better time to focus on that than now before the summer is truly upon you? If you’re struggling as to what you can do, then one idea that will always work wonders is to go down the spa vibe. Let’s face it, who doesn’t love a spa? And to be able to turn your own bathroom into one is a pretty amazing thing, and it’s not as complicated as you may imagine. You don’t need to spend ridiculous amounts of money on new features and installations that you can’t afford – you can keep things simple while being effective and beautiful at the same time. A spa is all about relaxation, and one very calming thing that we have all around us in this world is mother nature. And a brilliant way to keeping a zen mind is to stay in tune with all of that. If you have some space, whether it be in the corner of the room, around the sink, or on the windowsill, add some small plants. It can be as simple as a miniature cactus or eucalyptus. That pop of green will attract the eye while releasing good energy. Mini orchids also look stunning and barely take up any room, plus they come in all different colours of the rainbow. There’s nothing worse than entering your bathroom and immediately noticing the grubby ceiling that welcomes you. No matter how pretty the rest of the space may be, this will tarnish everything and bring it down. This is why you should take a look at Bathroom Marquee to find the best panelling to suit the room. This will give it a wonderful finish that brings it all together, looking clean and fresh, just like a spa would. They come in various designs and finishes too so you will be able to find something that fits in perfectly. Remember that spas are to calm down busy minds, so make sure you don’t overdo it with the colour you choose your bathroom to be. You want to opt for something that isn’t too overbearing, as this will result in things spilling over and taking away from the peacefulness of it all. Again, you will want to think of nature when selecting colours. Think of various shades of browns and greens, but rather than going bright, opt for a muted tone. This will set the mood for the whole environment and will instantly put you in a relaxed state. So now you have a few ideas, think about any other things you can do in order to create the perfect spa bathroom without spending all the bucks. Once you’re done, you will be able to come home after a busy day of work and unwind in your new space dedicated to you. – Don’t forget to light a few candles and an incense stick too. Feature walls first made their way on to the scene around 10 years ago. Homeowners went crazy for them and as a result, you’re unlikely to find many homes without at least one room that has a feature wall. Showing no signs of slowing down, the feature wall is well and truly here to stay as a staple piece of the modern home. But how can you take this same look in to rooms such as bathrooms? Bathrooms often have a negative connotation of being a bit clinical or lacking personality. More often than not, business and homeowners will use a simple white tile all over in a room. While this does give a clean, modern look, it can often leave a little less to be desired in terms of character. This is where a feature wall comes in handy. Tiling just one wall with a tile that has more life and tone to it can immediately transform a room. A feature wall lends itself perfectly to accent accessories and furnishings. Luckily, bathroom wall tiles are available in an unbelievably huge range of colours, materials and finishes, something we’ll touch on later. There are a number of different ways of creating a feature wall when using tiles. Unlike painted or wallpapered feature walls, tiles allow you to get truly creative. Whether it be mix and matching tiles or using a certain layout, there are an almost infinite amount of looks to create. One such popular look at the moment is herringbone. This creates a vintage glamour that also helps to create dimension and movement on a wall. For something a bit more classic, try a stack bond or grid layout. These are more traditional styles that might be more your thing. When it comes to tiles, the finish is almost as important as the colour. We’ve talked previously about how the colour of your tiles can have a drastic influence on the atmosphere in a room, so too can the finish. Matt tiles offer you that slightly more sophisticated and contemporary finish. This is great for industrial or rustic homes looking for texture. On the other hand, high gloss tiles offer you an incredible shine that bounces light beautifully within a room. Ultimately, this is up to you and your bathroom. It’s important to consider the size and light available in the room when choosing as matt tiles would be better suited to rooms with access to a lot of light. Feature walls are an iconic design choice of this decade, to say the least, so creating one in your bathroom should be a no-brainer. Not only does it give you bathroom a sense of life and design, it also helps with increasing the value of your home. Bathrooms that are more aesthetically pleasing are more likely to be received positively by potential buyers. This is something to consider if you are renovating to sell or just looking for a new home yourself. Your home needs to work for you, whether you spend a lot of time in it or not. It should fit in with your lifestyle and help to make your life easier as much as possible. While you want to make your home look stylish, it’s also important that it’s practical. Fortunately, it can do both things at the same time. You can make your home more practical while ensuring it’s also attractive. Some easy changes can give you a home that works for you, without anything that just gets in the way or causes extra work for you. In the bathroom, you need to make sure the space is set up for all your necessary washing needs and other tasks. While the bathroom is a great place to relax with a shower or bath, it’s also one of the rooms you use most in your home. Everyone is always going in and out for various reasons. If you want a more practical bathroom, turning it into a wetroom is one thing you can consider. When you want to clean it, you can simply hose it down, without worrying about what you’re getting wet. It’s quicker and easier than scrubbing things by hand. Your kitchen needs to be a practical space too so you can get on with cooking. It’s a good idea to think about how you use your kitchen and what could help you. A new kitchen sink with two bowls could be a practical solution for you. Have a look at https://kitchensync.co.uk/kitchen-sinks/kitchen-sinks-full-range to see some examples of what you could get. Some appliances could be good practical solutions for you. For example, a slow cooker makes it easy to get dinner ready in advance and leave it to cook while you’re busy. Some of the areas of your home that see a lot of foot traffic are the entranceways. People come in and out, taking off and putting on shoes and outerwear. They can end up getting blocked by things left lying around or even just people standing in the way. You can make them more practical with a few solutions. Firstly, a mat makes sure that everyone has somewhere to wipe their feet. A bench gives them somewhere to sit and take off their shoes and could also double up as a shoe cabinet. You can use stands, rails, and boxes to store everything from coats to gloves and scarves. It’s not just your entranceways where storage can be useful. You can make practical additions all around the house with the right storage. If you can afford to have custom storage solutions fitted, you can find the perfect answers to storing many things. In the bedroom, for example, you can choose storage systems that work for you depending on what you own and wear. Have a look at https://www.aplaceforeverything.co.uk/ for some storage ideas. Some practical changes to your home can make it more suitable for you. You could save time and energy too. 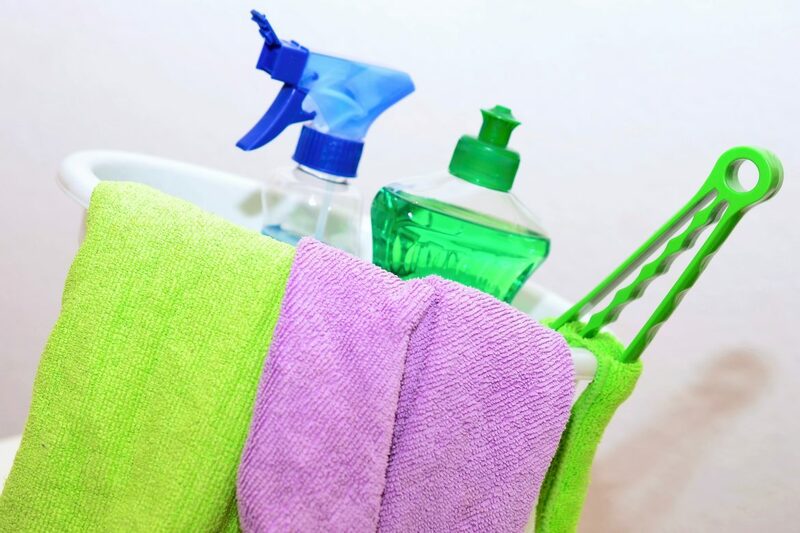 I’ve decided that I don’t cope very well when I try to clean the entire house in one day; the task seems too daunting and I get put off when the list starts to get too long! I do, however, love the feeling when it’s all done and I really want to get the house deep cleaned before Christmas (our Christmas starts at the beginning of December because I get too excited to wait any longer!) so here I am, in the middle of November, getting ready to wash walls and woodwork and clear away cobwebs! I’m going to start my Christmas cleaning by cleaning the bathroom and tomorrow I’ll move to a different room, most likely the girls’ bedroom. I like to start upstairs and work my way down, ending with the kitchen, which takes the longest amount of time to deep clean. Wash door, door frame and skirting boards. Wash corner cupboard, inside and out. Empty and wash waste bin. Hoover cobwebs from the ceiling. Sort out all storage baskets. Dust all ornaments and wall decorations. Sort storage shelves under the sink. Kaycee’s probably going to be a bit annoyed with me for doing it without her (yes, she likes cleaning the bathroom and doesn’t like it when someone else does it! It probably won’t last forever, especially when she hits her teenage years so I take advantage of it while I can!) but needs must as they say. I’ll tell her she can do it next time!